One highlight of the new version is the parallel processing and execution of different tools. This simplifies the implementation of multi-camera setups and allows for a more efficient use of the system's computing power. Munich, January 15, 2019 - MVTec Software GmbH (www.mvtec.com), the leading provider of machine vision software, will issue its new MERLIC 4 software release on February 15. It contains many new and improved features that make the creation of machine vision applications even easier, more efficient, and more user-friendly. The range of functions has also been streamlined with regard to obsolete technologies and thereby optimized for users developing real-world solutions. The software also offers 3D vision tools based on height images which, for example, enable users to read embossed text and perform other 3D machine vision tasks. For this, four new tools are included that make it possible to prepare images from 3D sensors or 3D cameras so that inspections can be subsequently carried out using MERLIC's existing 2D tools. Besides, MERLIC now supports "recipes" which allow for the rapid reconfiguration of different machine vision tasks. Thanks to a completely redesigned tool flow with an even more intuitive user interface, users can easily arrange and handle tools and elements with the aid of parallel strands and buttons. A "branch trigger" also allows branches between the strands (Branch on Condition) to be displayed more transparently. 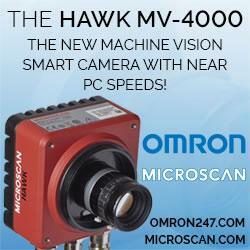 "The user-friendliness and usability of machine vision software remains a significant concern in the industry. This is also due to a shortage of skilled labor and the inherently greater flexibility of processes in the Industrial Internet of Things. And this is exactly what we're aiming for with MERLIC 4," adds Dr. Olaf Munkelt, MVTec Managing Director.